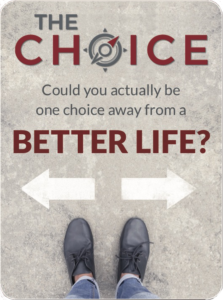 The Choice Seminar is a transformational LIVE event. Mike Tucker, host of Lifestyle Magazine, guides audiences through the choices that affect our joy. He outlines how to identify self-lies and replace them with the truths that transform. Guests and experts from the show join Mike to inspire and help audiences create their best life possible.